Start out the new year in style in this fabulous 4 bedroom, 3 bath home with over 3000 sq. ft of finished living area! Sought after features like hardwood floors, 9 ft ceilings, plantation shutters, gas log fireplace, main floor laundry room and a privacy fenced back yard are just the beginning! The master suite has a huge walk in closet, tray ceiling, double sink and whirlpool tub/shower. The lower level includes an 18x14 bedroom with walk in closet, full bath, office and family room. The bonus is a fully insulated and pre-wired media room! Just add your own speakers and equipment. There is a tankless water heater for an endless supply of hot water! New roof and water softener in 2018! Just 20 minutes to Scott AFB and 25 minutes to downtown St. Louis! 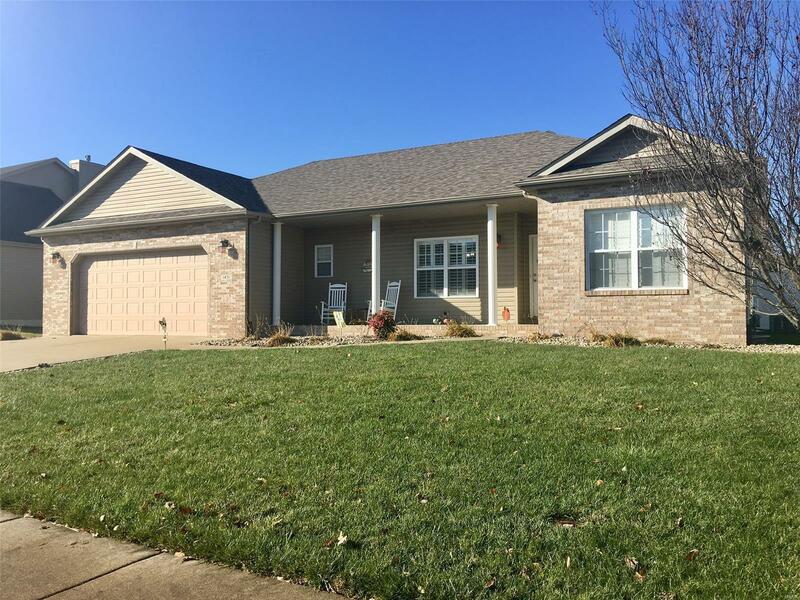 This home is ready for you to move in and enjoy!